The lawyers at Sutliff & Stout chose to pursue careers in law because we were and are passionate about helping people effectively navigate the justice system. All of the legal professionals at Sutliff & Stout feel extreme gratitude to be able to do the work that they do. Now, they want to help students in Houston who dream of working in law by offering a first hand understanding into the practice of law. 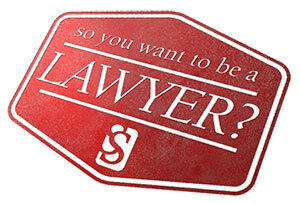 That’s what the “So you want to be a lawyer” series is all about. We will be offering monthly, hour-long sessions at our Houston law office. These sessions are especially relevant to high school and college students in the Houston area who are considering law as their course of study (or students who are currently studying law). What is the typical day like for an attorney? What are the different fields of law and what should I know about them? What can I do now to prepare for a career in law? In addition to being able to ask questions, students will be able to network with the other students in the group, and with legal professionals at the firm. To register for an upcoming session, please head over to our Meetup page. Space is limited so register today!